Last night, Facebook lit up. It seems, that a developer has been picked for one of the two properties first reported here as being bought by the city for $450K ea, the former Supply 1/HD Supply on Wayne Avenue, and that Garden Station’s sliver of land next to the railroad trestle is included (a total of 7.7 acres). Now, this may be premature, the developer may have more brains than the people in city hall, and may realize that the value of having a vibrant community cooperative park with deep rooted (pun intended) support is a developers dream. For any of you who don’t know what Garden Station is, (full disclosure, my company The Next Wave hosts and designed their website pro-bono) it’s a previously vacant strip of land that was once known as hobo heaven, a vacant lot, enclosed with a rusty fence, that sat barren and overgrown for years until a local visionary, Lisa Helm, had the idea of turning it into a community garden. She did this with the blessing of the city. It’s become, in a very short time, a mecca of beauty downtown. It’s been a part of the 1st UpDayton summit action plan, where beautiful murals were added under the railroad trestle, and the recipient of tens (maybe hundreds) of thousands of hours of volunteer hours. It’s Dayton’s homegrown version of The Highline– a project in NYC that cost hundreds of millions more, also involved a train trestle, and has totally changed the value of the area around it. It is economic development- and what’s best, is it’s the kind that can’t be duplicated, replicated or a value put on it- it’s homegrown, organic, unique, living and a powerfully pumping heart in our community. Because I don’t believe Facebook is the place for content like this- I’ve included the entire post by Lisa and the board from last night. Dayton Most Metro had part of it. It is with a heavy heart that I must let all our supporters know of plans of the City of Dayton to potentially destroy Garden Station in its current form to make way for future “development”. Last year the city purchased the whole block south of us, the old HD building, and I was leery of their intent. I invited city officials on tours of Garden Station and inquired about future plans that might affect us. I was assured that they were looking at the block south of us for development and not the property we lease. In January I was informed of the posted RFQ “as a courtesy” by the Assistant City Manager Shelley Dickstein and asked for meetings with her and Nan Whaley. Their position was that we are on development property and in order to attract the best developers they had to include our property as an option, but developers may choose not to use it. They were supposed to let me know who submitted proposals after the January 31st deadline but I have not heard back. Recently I have heard through the grapevine that a developer has been selected and plans are made. I do not know what those plans are but have heard from many community leaders including priority board members that once the city announces their plans it is often too late to act. 1. Garden Station to remain on the site we currently occupy as an amenity to potential housing/retail developments on the block south of us as well as existing residents. 2. Furthermore that our property be preserved as green space under a land trust organization, with occupancy by Garden Station as long as the property is maintained at an acceptable level. I know there are over 1000 of you who personally have done physical labor to build Garden Station and over 100 community groups and businesses who have contributed to its creation! Garden Station uniquely represents the heart and soul of Dayton better than any other place in our city, through unique local artwork, music, community events and connecting our citizens to each other! Like the Whos in the beloved Dr. Seuss book “Horton Hears a Who” we need to make our voices heard that WE ARE HERE! So that’s it in a nutshell, keep reading for more details, contact info for officials and benefits of Garden Station to the community. I am posting the original RFQ and a letter from Nan Whaley stating her position along with a list of organizations who have helped build Garden Station by volunteering or donating materials or cash. 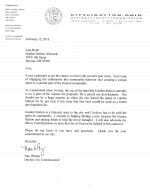 I had been informed of the posted RFQ “as a courtesy” by the Assistant City Manager Shelley Dickstein ([email protected], [email protected] (937) 333-3600 ) in early January 2013. I asked to give her a tour to show what we were doing at Garden Station and to show all the community businesses and organizations involved. She said she would meet with me and sent me to her assistant for scheduling. After numerous calls on my part I never got a response or a meeting. I arranged a meeting with Commissioner Nan Whaley mid January. [email protected] She had been at Garden Station and I thought she was a supporter. But her position is that we are on “development property” and were never meant to be a long term project. To my thinking this means the community development we have done with thousands of volunteers and over 100 local organizations is not considered valuable enough in her eyes for the city to consider sustaining it. Her letter stating her personal position is attached. She stated that she would let me know what development proposals are made once they came in (on the RFQ you can see they were due by the end of January). To date I have received no information on development companies or proposals for the space. Commissioner Joey D. Williams – [email protected] came to our EarthFest in April to hear about what was going on. He was not very familiar with Garden Station, did not recall hearing anything about our property on the RFQ and was going to investigate further. We have a meeting pending. So it’s difficult to understand the City, they have named us a “Dayton Original”, awarded us many neighborhood mini grants for our lighting, stage, murals on Wayne and 3rd Street, wheelchair accessible garden beds, and outdoor kitchen; participated with us in “Parking Day” activities which promote more urban green space, appeared on PBS “Our Ohio” with us touting their support of urban agriculturehttps://www.youtube.com/watch?v=IB2iB5UHwO0 . 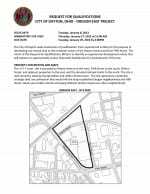 We have also been included as an asset in reports of the Greater Dayton Downtown Plan. Recently I got wind that a developer is in place and there are preliminary plans. Neither Nan nor Shelly informed us of this like they said they would. I have talked to other business owners, community leaders and priority board members who have advised me that the city tends to act first and get community input after the fact. This is not the way our government was intended to work. If they are not going to let us know their plans until it is “too late”, then we need to make our voices heard NOW! Commissioner Nan Whaley says we are on “development property”. It is interesting that they do not consider our development of the space a legitimate development option while I have spoken at regional planning conferences and spoken to officials where other governments are seeking to establish “developments” like Garden Station in their cities! Commissioner Nan Whaley also told me that they would not consider selling the property to us or a land trust to hold for green space. We are a unique attraction in downtown Dayton and have had visitors from all over the world stop to see us. We are on several travel sites including Roadside America and Trip Advisor. So many other “attractions” seem like cookie cutter copies that every city has. We have unique outsider art from all kinds of residents, examples of sustainable building techniques, demonstration gardens including a new food forest, a permaculture fixture that other cities brag about http://www.weather.com/home-garden/beacon-food-forest-20130620 , and we host all kinds of community groups from elementary students to UD and Sinclair student to the AARP. We are providing education and demonstration of sustainable living practices in a time where more and more people are realizing the environmental frailty and nutrition-lacking aspects of our current food system. Our EarthFest was the largest Earth Day festival ever held in Dayton with over 30 free workshops for the public and over 30 local organizations participating. We are educating our neighbors to become more food secure and developing a more resilient local food system by training urban farmers in partnership with Omega CDC, Antioch College and Miami University. We are providing fresh, local organic food from our gardens to the public on Sundays when there is no other outlet for local food available in Montgomery County. We are providing fresh local organic food to seniors at Jaycee Towers and have the only rentable wheelchair accessible community garden plots in the area. Over 20 neighbors have community garden plots at Garden Station as well, including many urban dwellers without green space of their own. We serve as an outdoor community center hosting all kinds of community organizations including meetings and non-profit fundraisers, art and music festivals, free music for First Friday featuring local bands, the Really Really Free Market, workshops, community potlucks, bonfires, rallies, weddings and more. Students from all over the Miami Valley from Elementary School to University have come for tours and volunteer days to learn gardening, art and green construction techniques. We are an urban green space that serves all our area residents, created entirely by over 1000 community volunteers and donations, and over 100 community organizations and businesses. Garden Station is created BY the community, FOR the community! Please let our officials know you support keeping Garden Station as a community-created green space and the reasons you want to keep us! Thanks for all your support! Garden Station exists because of support from our whole community! Please write, email AND call! Even if the “developer” was to place an urban grocery store on the property, anyone with half a brain would want to keep and work with Garden Station as a source of fresh, organic, locally grown produce. That would be the “highest and best use” for this property- although what is probably coming is some kind of mixed use development in the grand original building- and hopefully- demolition for the hideous pole barn- or a possible new skin. Also note- if we had bike share, in Dayton, parking requirements for this new development could be considerably less. The real question now is, who is the developer and what are their plans? We may be jumping to conclusions about the demise of Garden Station. Hopefully, we’ll get something synergistic to Garden Station- which is my eyes is the most successful development Downtown Dayton has seen in 20 years on a dollar per return basis. It’s a true silver bullet- that came at the price of next to nothing for the city. Lisa Helm is a visionary- and her vision is something that should be preserved and supported. Also note, it will be interesting to follow the money on this deal. The gamble of purchasing real estate with no intended, stated, public use is not what I want my government to be doing. Let’s see if the developer was also a donor to Whaley’s quarter million dollar special election fund. Thanks for spreading the word about this. We must remain very skeptical of people like Whaley and Williams. I have no confidence that they are competent. Wow…people come together to do something wonderful for Dayton, and they get treated like [email protected] by the city’s “leaders”. And by the administration whose salaries they pay. The total lack of respect shown toward the individuals that donated time and effort to make Garden Station a reality is disgusting. My advice: Get a lawyer on your team, NOW! Somebody especially aggressive….a Pit Bull with a suit and briefcase. Anybody with a J.D. willing to step up and help? Ruthless S.O.B. preferred. Another sad chapter in the city’s failure to produce and maintain a comprehensive urban plan. They might put a supermarket there? I though we still had options on the land at Wayne and Wyoming. They might do urban housing? Higher rents with a nice park to provide a sound buffer for the rail traffic. The city continues to pendulum-swing. Do we want two-way streets and slow, frustrating traffic flow or a large-city plan of alternating one-way streets? Do we want expensive custom paving or low-maintenance standard surfaces? Do we want to put festivals in comfortable park spaces or shut down state routes and have them in the streets? Will we ever know when the river will be fully developed, and how? It is a very sad thing to find out that city leaders do not listen to its people, particularly the ones that live adjacent or who have put forth physical volunteer effort. Its killing the city and keeping the flood gate open for residents to leave. I wouldnt advise anyone to vote incumbent if their life depended on it. An entirely new city management team is needed too. How many decisions are made by commission and city managers where they have never even visited said site. They are downright embarrassing. A grocery store would never survive there. As for the Wayne and Wyoming lot, as I recall, Kroger backed out. Why ? There’s only one reason: They wouldn’t make enough money there. From a strictly pragmatic fiscal POV, it’s good news they even HAVE developers interested in doing this…and this is a key site-connecting the Oregon with Webster Station. And a mixed use development would bring in more tax revenue. Garden Station doesn’t add any tax revenue to the city budget..and the city needs all the money it can get since it’s losing population and business, and has to make budget or cut stuff. That being said, in my perfect world a redevelopment plan would keep Garden Station as an amentity, and also do an adaptive use restoration of that old white-painted factory across the street. The focus right now is on Garden Station, but that old factory is one of the few surviving 19th century industrial buildings in the city, dating back to the 1870s. Unfortunaly,the way things usually turn out we’ll lose both Garden Station AND that old factory (it used the be the Farmers Friend agrigcultural implements works, making farm machinery of various sorts). Such is the price of progress, I guess. The question is what will replace all this, what the urban design will be. So far, the more recent infill in the city, has been pretty bad, sorry to say. So maybe some sort of deal can be worked? It’s Dayton’s homegrown version of The Highline– a project in NYC that cost hundreds of millions more, also involved a train trestle, and has totally changed the value of the area around it. Probably more like the the Lipe Art Park upstate in Syracuse, which is on a very similar site! Repeat: Get a lawyer on this – NOW! I’m not sure what a lawyer could do; the city is well within its legal rights here, and I don’t think anyone is questioning that. Why our city leaders think treating the residents of this city who actually care about making it better with indifference and contempt is sensible and wise, I have no idea. Such people are a much scarcer resource than undeveloped downtown properties. Thanks for your coverage of this, David. Someone should ask AJ Wagner to take a stand on this. It seems AJ is indicating support on the Garden Station FB page. Also, the developing issue seems like the occasional discussion that surfaces on “what to do with Dave Hall Plaza”, which was another example of a temporary use (in that case the site of a failed urban renewal project). I, too, am not sure what a lawyer can ( or cannot) do. That’s why one needs to be consulted. If they had real reporters- they’d be looking into why the city bought this piece of property for $100,000K years ago- with no plan or public use. Who did they pay off and why? I’d dig into it- but, I don’t get paid to do this, and most of you readers haven’t donated to the campaign… just sayin…. The property should be sold. The garden could be moved. 1000 people like it and use it. A new development will have tens of thousands of people use it, plus downtown needs something new and fresh. Buy a vacant lot downtown, seems to me there are a few available. The garden is a bit tacky – IMO – and a lot of my friends think so as well. Sorry, but it’s not the most wonderful thing downtown, besides you garden folk don’t own the land. It seems to me that the Change.org petition, conceived to show support for Garden Station, might actually be used to show the lack of support. The petition was started on June 27th. It took four days to get 1,000 signatures, which happened on July 1. Today, six days later, the petition has 1,316 signatures. If you look at supporters’ comments on the petition (sort by “Latest” instead of “Most popular”), you’ll see six comments from today, three from yesterday, 16 from two days ago, 7 from three days ago, and 9 from four days ago. Seems like the petition’s momentum has stopped. Garden Station falls in ZIP code 45402, which has 11,420 people, and it’s close to ZIP code 45410, which has 15,339 people. 1,316 signatures on a petition isn’t very impressive compared against the population of these ZIP codes. I can understand the resistance also, but if Dayton is serious about revitalizing downtown, why wouldn’t they expand with the one neighborhood which works? I couldn’t picture a community garden in the middle of downtown Brooklyn, Oakland or other city which is on the rise, let alone those already established. Most of them are in the center of where people actually live.